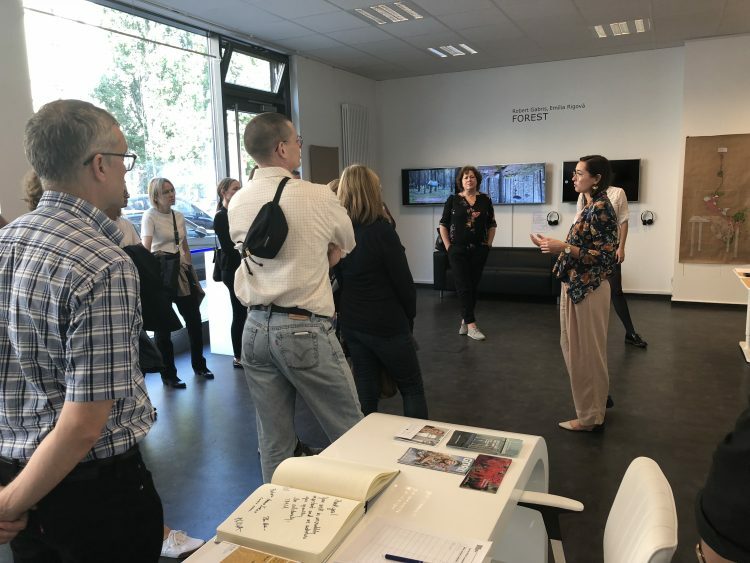 A delegation of the Department of Sami and Minority Affairs of the Norwegian ministry for Local Government and Modernisation of the Kingdom of Norway (Kommunal- og moderniseringsdepartementet´same- og minoritetspolitisk avdeling) visited the European Roma Institute for Arts and Culture on 19 September. Their chief responsibility is the formulation and coordination of the Norwegian state’s policies towards the Sami population and other national minorities such as the Roma and the local Romanifolk/´tatere´. 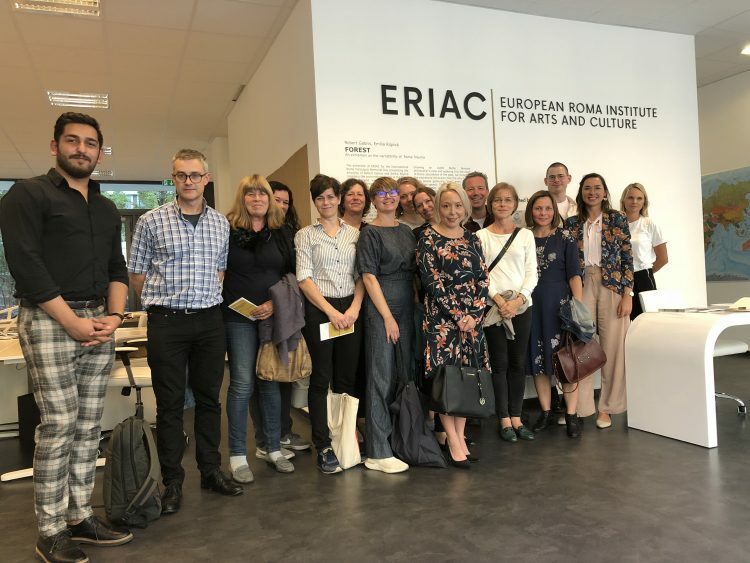 The delegation´s visit to ERIAC was part of a larger framework of competence building of the ministry, which also included meetings with the Jewish community of Berlin and the Federal Representative for the fight against Antisemitism. The group of 15 Norwegian civil servants discussed with deputy director Anna Mirga-Kruszelnicka on the topics of Roma representation in arts and culture and the newly established Roma Culture and Research Centre in Oslo.